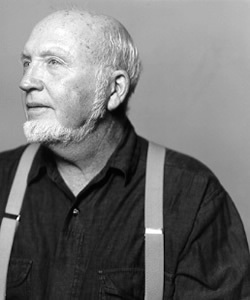 Auburnness: Madison Jones came to Auburn as a creative writing instructor in 1956. He retired a writer-in-residence in 1987. He still lives in the area, out Wire Road. I talked to Mr. Jones for a journalism class. An edited version of the article appeared on TWER. I was not prepared and knew little about his books or writing in general. He was patient and kind. 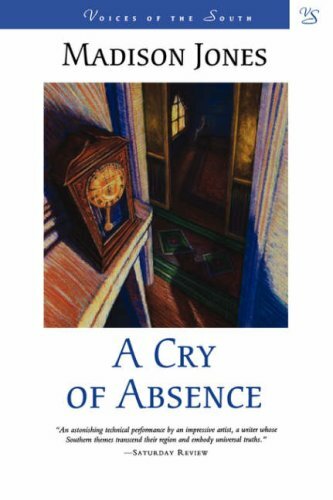 One of the main characters in A Cry of Absence goes by Cam. Cam is not a good character or person. The novel is set in 1957, a special year as we know. Story goes that a person once asked Tolstoy what Anna Karenina was about. Tolstoy was said to have replied: “If I could answer that question in fewer words than I’d used, I would’ve done so.” Tolstoy might’ve also said: “Plot summaries are for suckers.” When discussing works that matter, it’s rarely important to ask what a thing is about, but rather how the work goes about that thing. A Cry of Absence is about the race relations of a tiny Tennessee town in 1957. The how-it’s-about-it involves three central characters: Hester Glenn, her oldest son Ames, and the town of Cameron Springs, Tennessee. Hester is the Old South in all its glory and degradation. She is Honor, Sacrifice, Duty, Neighbor, The Beatitudes, A Shining Surface Deflecting Darker Depths. Her husband, father of Ames and Cam, left her when the boys were young. He was a philanderer, liar, cheat, etc. Hester is proud but alone. She gets what joy she gets from the success of Cam, superior athlete, student, stud, and the continued sameness of Cameron Springs. Life is how it ought to be. No questions, no lingering glances. She adores the South of her parents and her parents’ parents. This is simplified, but more or less how Hester is presented. A Cry of Absence is more than a morality play of Old vs. New South. Jones attended Vanderbilt. He got his masters in creative writing from Florida. He studied with Andrew Nelson Lytle and Donald Davidson. He is considered a member of the Southern Agrarians, which was basically a reaction to modernism and the encroaching industrialization of the South. Jones said his biggest influence was Moses, because he was believed to have written the first five books of the Bible. The novel is at once a lamentation and a letter of acceptance. Absence concerns the death of the South as it was. It was a necessary death. Of course the Civil Rights Movement was necessary, to argue to the contrary is ludicrous. But what Jones did is create Hester Glenn, a fully contained character of Cameron Springs, Tennessee, and ask not what should’ve been done, but what was done, and why it was done. Hester is like a character within a character—one can see the faint strings Jones plays, but there’s also a sense of destiny with Hester, a finer web, some preordained tragicness not quite articulated till the last page. In this way, Hester Glenn is the South. In this way, Jones wrote a hell of a book. Hester’s fate was inevitable from the first line. The reader only realizes this once the book is complete. Of course Hester must end as Hester ends, just as Cam had to end as he did. To play out the jumbled line of symbol logic further, Hester—the best of the Old South—birthed two sons, Cam and Ames. Cam represents all that is wrong with the Old South. He is racist, cruel, arrogant, and ignorant. He is a sociopath. He kills a black boy with a flurry of rocks. The black boy compares to Stephen, an innocent martyr. The body is found. Ames knows and tries to convince Hester. Hester refuses to believe. Once Hester knows for sure, Cam defends himself by saying he only did what he knew she wanted him to do. Cam took his mother’s views, her Old South heritage, and perverted it. Cam wasn’t heritage or history. Cam was hate. There it is right there: Southern Agrarianism 101. The absence, a key word, of something, whether that something was moral centrality, faith in a higher power, or whatever else. Jones and his gang were regressive as far as literature went. They spurned modernism, post-modernism, and all the other new methods of art and language. Jones himself, as “not so much an American as I am a Southerner,” must have felt the split between the pastoral past and modernity, as well as between the best and worst of the Old South. One gets the sense that Jones was at once Hester and Ames. He died with Hester and was reborn with Ames. Hester was wrong, but she wasn’t evil the way Cam was evil or the way the Handleys, especially the elder Handley, were evil. She was a product of place. She was Southern, and she didn’t change and she paid for her failure. Ames did change. He realized the folly. But he didn’t become the Delmores. He didn’t become a fundamentalist. So it was “out there,” Ames thought. And he could go out and join one side—the one with all the truth—and help to annihilate the other. For this was the kind of war it was, under banners of past and future, with even the winner losing more than his humanity could stand. Absence is a work of moral fiction, in that Jones took to task himself, his people, his region. It’s about longing for something that might never have been real in the first place. And it goes about it masterfully. Ben…a very nice piece. I also read the linked piece from the interview with Mr. Jones…. very mature understanding of the man. I was a child of the 50s and recall the struggles we southerners had with the changing times. Some of the stuff I read on blogs and in Alabama newspapers these days make me wonder how far we’ve really come in those 50+ years. This kind of writing is the reason I check this site every day. Tell Jeremy my check is in the mail…hope TWER gets the donations to keep this quality of work available.